As a long time fan of the String Cheese Incident, Kyle Hollingsworth’s keyboards have accompanied a large swath of the soundtrack of my life. His latest album, 50 was recently released for the occasion of Hollingsworth’s 50th Birthday. A reminder that neither of us are getting any younger. His appearance, energy, and playing seem youthful, and I was actually a little surprised by the fact that he was born 5 decades ago. The album is framed between tunes called “Onset,” and “Offset.” The former leads in like a stream of consciousness, setting the tone for an album that feels familiar and personal. The accompanying tracks followed like a career retrospective. I consider Kyle one of the best keyboardists I’ve seen tickle the ivories, but have become progressively less impressed with his songwriting. Not that his songs aren’t catchy, musical, or substantive, but it seems he has regurgitated the same songs in a dozen different ways. With each new solo album, it’s become harder for me to ignore. Maybe it’s because he lives in Boulder... that town loves to recycle. Though the tracks almost all seemed to be replicas of some prior ditty, the diversity within the track list was still impressive. For an “old man,” Kyle dropped some spunky electro-funk a la The New Deal. And his funky grooves seemed to have more of a Motet vibe with beautiful layers of female vocal harmonies. Considering the album’s theme, the introspective nature of a few of the tracks made sense. Lyrics about children, family, and community have made appearances in Hollingsworth’s notebook before, and his connection to what is important is still in tact. Once again I found myself simultaneously impressed and embarrassed by the track, “Stuff.” While the concept and message of the song are incredibly relevant, the actual lyrics were painful at times. “Will my OS impress?” “Will my tweet compete?” Fairly cringe worthy on a couple of levels. And while I did find these lyrics fairly weak, I thought the tune might be the best one on the album. Strange how that can happen. 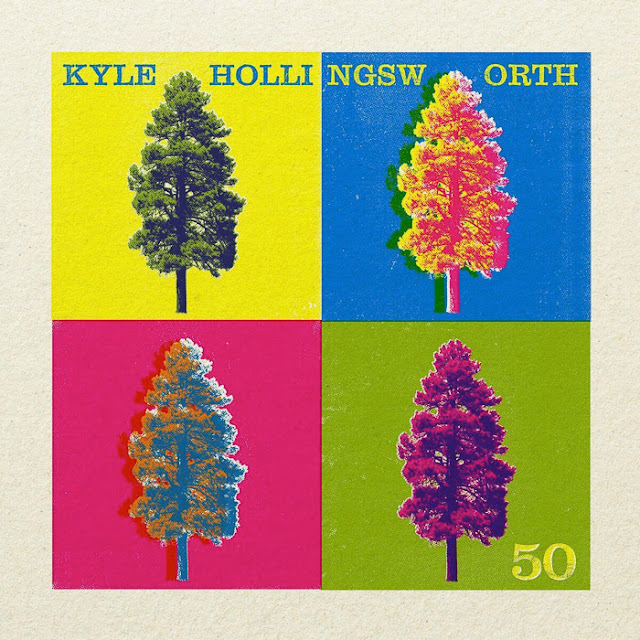 It may be the most poignant track on a philosophical level also, but I don’t know that I would ever play this track (or album) for anyone who didn’t already like Kyle. In my opinion, the tracks just don’t have enough substance to draw in new fans. Writing a review for an album by one of your favorite musicians is hard. The temptation to fluff the review creates a powerful pull, and much like a swimmer in undertow, you have to really kick to escape that eventuality. On the other hand, there’s an inclination to be a bit more critical when thoroughly familiar with an artist’s catalog. The process turned introspective and retrospective. And then I was left with a thought... maybe the consistency within these similar songs was done to help feel like a career in review. Roger Waters latest album sounded like a ton of old Floyd tunes rehashed, and though I found it lacking in originality, I found it impressively genuine in it’s homage. Arguably, the Waters’ album was his best attempt since the days of Waters and Gilmour’s partnership. 50 is perfect in it’s own way. The balance of rock star and “Dad,” must be a strange reality to manage. This album illustrated a snapshot of a man who is teetering between headlining The Electric Forest Festival and driving his kids to the mall to grab supplies for a school project. If we are lucky in this life, we will be half as cool as Kyle when we are 50.